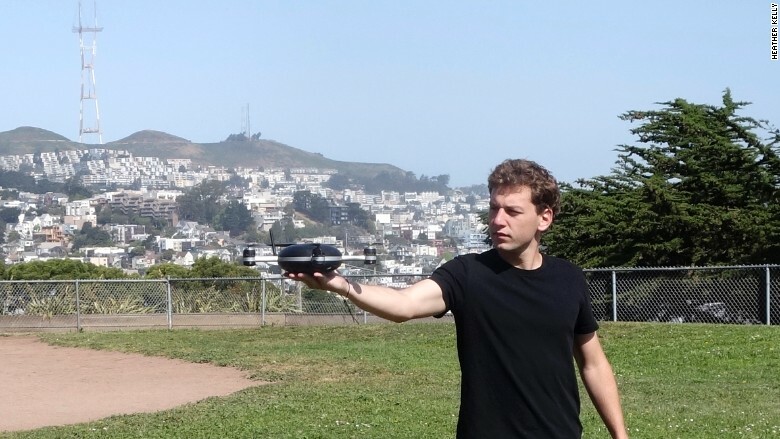 Lily co-founder Antoine Balaresque holds the self-flying photography drone before throwing it in the air in San Francisco. With his hand outstretched, a small drone resting in his palm, Antoine Balaresque looks like a falconer. The drone follows co-founder Antoine Balaresque around a San Francisco park while shooting video.